This is a guest post from Atlanta author and psychotherapist, Tracey Marks. Our schedules during this time become crowded with mandatory office parties, school shows, friends and family gatherings. We're saturated with decorations, special music and lots of food. But when January hits us, the reality of life becomes sobering. It's okay to make an exception here for children where you're trying to illustrate the meaning of the holiday spirit through gift-giving. Instead of buying gifts, consider making gifts for others as a family project. If you tell family members and friends about this ahead of time, they'll have time to accept this as a family project and won't be expecting a gift from you. In fact, this might give them an idea to do the same thing. Avoid having some event or social function to attend every weekend. Instead, try setting aside a day or two a month where absolutely nothing is planned other than simply spending quality time with your immediate family members, or even just having a time for yourself. If you do this, you'll know when and how to respond to spur-of-the-moment invitations. For family or other functions, which, in the past, have caused you stress and anxiety, plan to stay just a little while. If family get-togethers tend to deteriorate into bickering or conflict, plan ahead to limit your time at these gatherings. Show up on time and make the most of your stay, knowing that you'll be leaving early. Tell the host in advance that you plan to leave early and, if you feel the need to offer an excuse, intentionally plan to go to a church service or have your own time of spiritual reflection with just your immediate family at your home. This gives you an "out" while bringing you back to the basics of what the holidays mean instead of becoming lost in the materialism. If you can't resist tasting all the yummy treats, take a sampler approach. Pretend as though you were eating hors d'oeuvres at a reception. If you have dinner plates, only fill the center of the plate as if it were a salad plate. Leave a large border of empty plate around your food. Another alternative is to spread your food out on the plate. If your plate is filled to the point that you can no longer see the color of the plate, you've got too much food. Don't forget to limit those calorie-packed punches and alcoholic beverages. Try paring down this season by reflecting back on past holidays. What was really enjoyable and what was an unnecessary thing on your to-do list? Take time to celebrate the meaning of the holidays and focus on family-togetherness. And, of course, take time to be still and do nothing. Sometimes doing nothing is good. 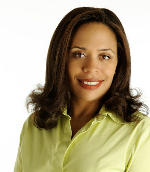 Dr. Tracey Marks is an Atlanta psychiatrist and psychotherapist focused on helping busy moms improve their personal and professional lives through effective lifestyle choices. Her blog is Beyond Burnout.